Reva University Bangalore 2019 has been established under the Reva University Act 1980 by the State Government of Karnataka in the year 2012. Reva University Bangalore application process is started and the last date to fill Reva University application is 15 April. The University is located in Karnataka state city Bengaluru on a sprawling green campus, which is spread over 45 acres of land. It is built with the state-of-the-art infrastructure creating an environment conducive for higher learning and research. The University offers different courses through different processes – time regular PG- Post Graduate programs, along with part-time Post Graduate programs, and also Graduate Degree programs and several more Post Graduate Diploma programs in Engineering, Science and Technology, Architecture, Management, Commerce, Law, and Humanities. Latest Update: REVA University EET (Engineering Entrance Test) 2019 also known as B.Tech admission test of REVA University. REVA EET 2019 will be conducted on 27 April 2019, around 16 different locations. 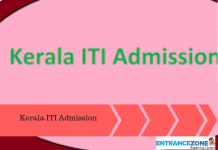 The admission will be taken in 15 UG Engineering Program. Applicants can apply in both online and offline mode for REVA EET 2019. How to Apply to Reva University, Bangalore 2019? However, there are some of the programs such as B Tech, M Tech & MBA the Candidates/ students ranked in the AIR level exam CET, PGCET, COMED-K, GATE, CAT, MAT & such other Entrance Examinations conducted by the State Govt. of Karnataka or other region recognized agencies are also considered. The prescribed eligibility criteria for each of the program are available on the official website of the university. Prospectus students seeking admissions for B Arch Program should have NATA eligibility. Steps to apply Reva University is given below. Applications are available to apply online through official website of Reva University. All Application forms and Prospectus for all courses and program are available at the Office of Admissions. Candidates can obtain admission Application Form from the registrar at the main campus of Reva University. 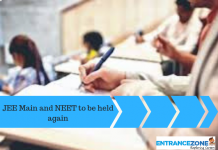 Candidates applying for enrollment in any of the courses must have passed 10+2 examination from CBSE, ISC or any of the recognized Boards of the country. Every year Reva University greets new meritious students and awards several scholarships, prizes & medals to boost encourage and support meritorious and talented students. University also offers scholarships to the deserving talented but financial weaker students and achievers in academics and sports as per the norms of the University. And lots more, year by year achievements counted at REVA University. The programs & courses offered by Reva University are well planned and designed based on in-depth research and analysis with emphasis on knowledge assimilation, Skill development, practical applications, hands-on training studies, global and industrial relevance. Reva University Bangalore is comprised of highly qualified, experienced faculty members and scholars from various reputed national and international institutions along with the sprawl of industrial and business delegated experts who have contributed in preparing schemes of instruction and academic curriculum for these meticulously designed programs. Thus, Reva University strives to strengthen its core team of committed faculty members and staff who ensure with a mark that the journey of enlightenment knowledge progresses smoothly for each and every student. ethical and moral values, innovative skills and research culture through higher education of global standards”. To give a global standard and create excellent infrastructure facilities with state-of-the-art laboratories and incubation centers. Through collaboration and extensive activities, encouragement of research and entrepreneurship. To provide a student-centric loving learning environment through. To organize various social development programs for knowledge & skill Enhancement in thrust areas. To promote industry-institute partnerships ties and share knowledge for innovation and development. To enhance the leadership and managerial qualities among the youths and enrich the personality traits and promote nationalism, patriotism and moral social values. To Accept all the challenges of globalization to offer high quality & better education and other services in a competitive manner.